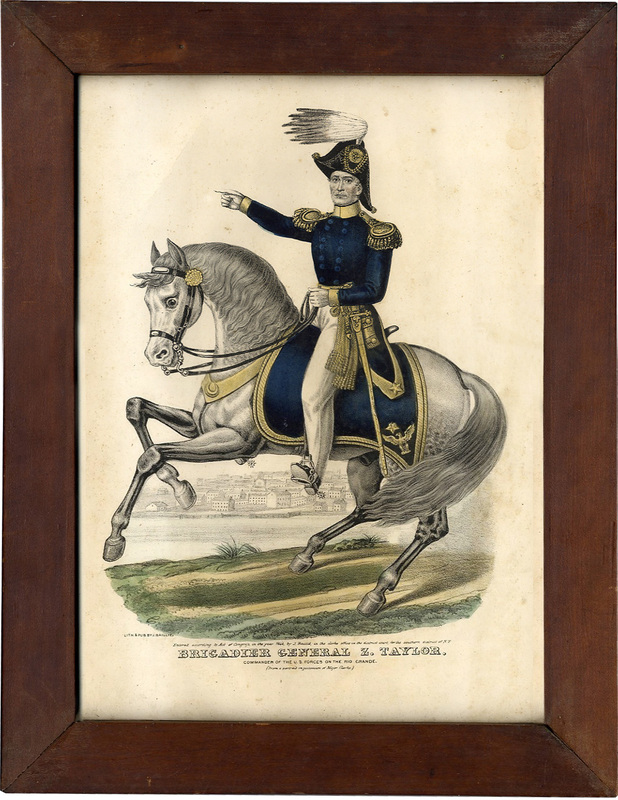 Print celebrating Gen. Zachary Taylor, "Commander of the U.S. Forces on the Rio Grande," 1846. Lithograph with hand coloration. 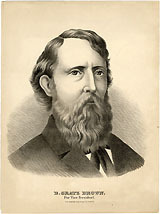 J. Baillie, New York. Housed in original frame. Size refers to overall dimensions. Depicts Taylor in uniform, in gallant equestrian pose. A very bright, clean example, dating to the early months of the conflict. 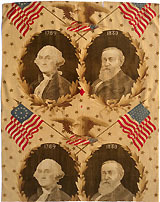 Taylor's future political career would be founded on his military leadership in the Mexican War.